I always try to use pianists in my classes as I believe this is much better than recorded music. Dancers have to to be able to react to changes in tempi and not be robots! You can read my full Biography but if you just want a quick precis then... 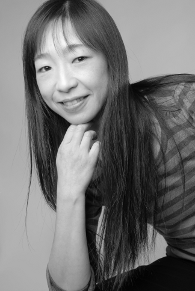 I originally trained in Japan before continuing at The Royal Ballet School, and whilst there worked with both Royal Ballet and the then Sadlers Wells Royal Ballet (now Birmingham Royal Ballet). I worked with several companies including Portuguese National Ballet, London City Ballet and Northern Ballet as well as Guesting with Wiener Ballet Theatre, European Ballet, Kobayashi Ballet Theatre and Saga Ballet Company. I joined Phantom first time in 1992 where I stayed for a year before going back to the ballet world free-lancing with my husband, I rejoined Phantom in 1997 but left in April 2000 due to the impending birth of my my first child Millie and although I intended to return after I had my second child Maiya I decided to retire for dancing although I continue teaching.